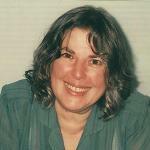 Molleen Matsumura, a former employee of NCSE, died on October 30, 2012, at the age of 64. Born in Riverside, California, on May 1, 1948, Matsumura earned a B.A. in anthropology from the University of California, Berkeley, in 1970. Starting in 1981, she was a senior editor for the Alin Foundation, while also working as a freelance editor. With Judith Rogers, she wrote Mother To Be: A Guide to Pregnancy and Birth for Women with Disabilities (Demos Medical Publishing, 1991). She worked for NCSE as Network Project Director from 1993 to 2001, having worked as a freelance editor for NCSE as early as 1991. Before, during, and after her time at NCSE, she was also active in the humanist community, serving as associate editor of Free Inquiry , founding and serving as the president of Secular Humanists of the East Bay, serving on the advisory board of the Secular Student Alliance, receiving the Distinguished Service Award from the Council for Secular Humanism in 1993, writing a humanist advice column entitled "Sweet Reason," and coauthoring Raising Freethinkers: A Practical Guide for Parenting Beyond Belief (AMACOM, 2009). She also served on the national advisory council of Americans United for Separation of Church and State. Matsumura's writing and editorial talents were in constant and welcome use at NCSE. She wrote voluminously for NCSE Reports and its descendant Reports of the NCSE , with such articles as "What do Christians really believe about evolution?" ( RNCSE 1998;18:8-9) and "A new tactic for getting 'creation science' into classrooms?" ( RNCSE 1999;19:24-26) still being cited. She also wrote several brochures and pamphlets, including "Facing challenges to evolution education," "Evolution, creationism, and science education: Answers to ten common questions," and "Eight major court decisions against teaching creationism as science," and edited the second edition of NCSE's Voices for Evolution (1995), which, like the third edition, collected statements supporting the teaching of evolution from scientific, educational, civil liberties, and religious organizations. Just as important, though, were Matsumura's tireless and effective communication and organizing skills. Whether convincing local activists to work together to oppose creationist incursions in their communities, rallying scientific or educational organizations to take a stand, or informing the press of the latest creationist tactics, she was always a persuasive and enlightening force.